A few seasons ago, Jen Lee and I put our heads together and an offering that came straight from my heart was born. We called it The Gift of This Moment Home Retreat Kit, and we loved it so much Jen even made a trailer for it. There are just a few full kits left and Jen's shipped them out here to my corner of the world so I can send them into the world with love right to you. You can find them here. 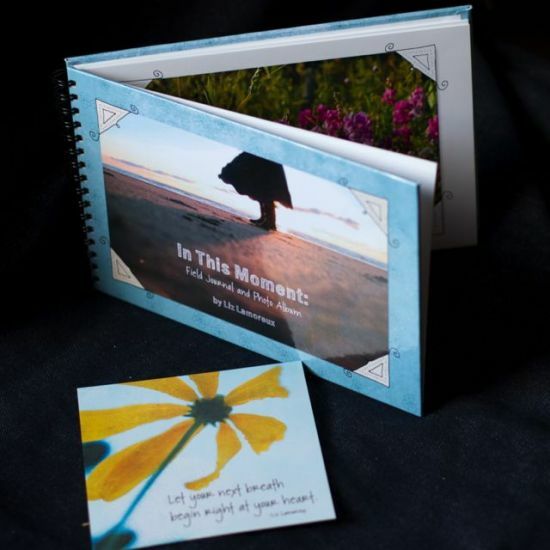 You can find the poetry books here in my shop and the photography journals are right here. I have a few CDs available, just send me an email if you are interested. And I'm so happy to share that I've just reprinted an updated version of the Mirror Meditation Journal! They'll be in the shop soon, and they will be part of my upcoming course Being Seen, which is all about the mirror meditation and taking self-portraits and it will run again in October. Bring the retreat experience right to your front door with this limited-edition offering. In this kit you'll explore three of my "go-to" practices for reflective living: the mirror meditation, capturing the everyday moments through my camera lens, and the words of others through the gift of poetry. These stories, practices, and meditations are the closest thing I have to bringing you into the circle at one of my Be Present Retreats. My hope is that they will feel like a companion for you as you practice being present amidst it all. The Gift of This Moment: Practices for Reflective Living Audio CD, with stories and teachings on three of my most-used practices for living deeply in the present moment. 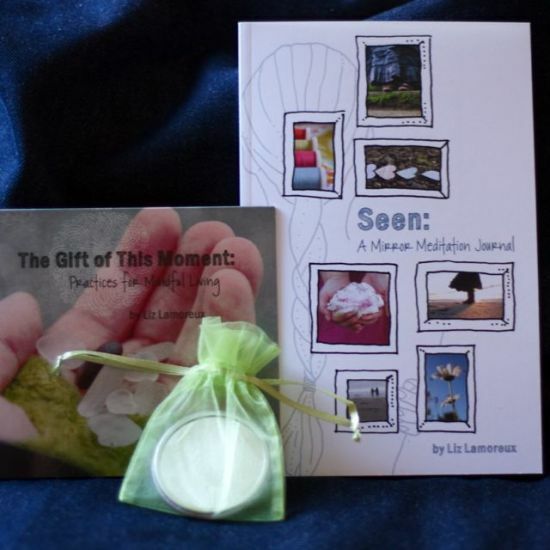 Seen: A Mirror Meditation Journal (paperback) includes an introduction to the practice of mirror meditation by author Liz Lamoreux, with prompts throughout and beautiful hand-drawn illustrations by artist Liz Kalloch. Designed to walk you gently step-by-step through 30 days or more of this grounding and transformative practice. I believe these practices will help you begin to feel deeply seen so that in those moments when you are making your way through the realness, the hard stuff, the confusion that sometimes punctuates this life, you will realize you are never alone. I believe this because I practice every day. And here's the part where I say this: When we launched this, I wasn't quite ready to step into the truth of shouting from the rooftops, "These practices will change your life!" I didn't know how to put into words that we really had created something full of the same magic I witness and experience at my retreats. And today as I hold these beautiful real live books and journals in my hands, I really want you to hear me say: These practices will change your life. Truth from my heart to yours. I hope you scoop them up. I'd love it if we had to reprint them so I could send even more out into the world. Yes yes yes!